Black Bear Silhouette Wall Decor - - If your home or business is located in bear country, our gentle black bear shape plaque belongs on a wall. Made in USA. Note: the style number visible on the bear above is for internal use only won't be engraved on your bear. FAVORITE COMFORT FEATURE: Our Black Bear Silhouette can be custom made to the size or sizes you want for your space. For example, you can have a papa, momma, and baby bears all in different sizes. 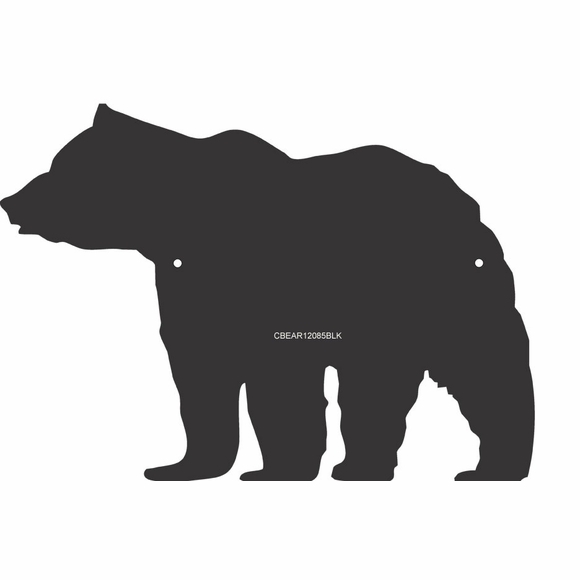 The bear silhouette can be produced in sizes ranging from 12" x 8.5" (as shown here) up to 38.5" x 23.5". Please contact Comfort House Customer Service to receive a quote.